This quote is all about that feeling you can get when you take a break from the relationship or when you’ve been apart for some time, and that time apart has only made your love for him or her stronger. ❤ It can happen when you’ve decided to take a break, when you’ve gone through a breakup, when you divorced or simply when you’ve spent time apart. That time apart sometimes really tells you if you love someone or not. 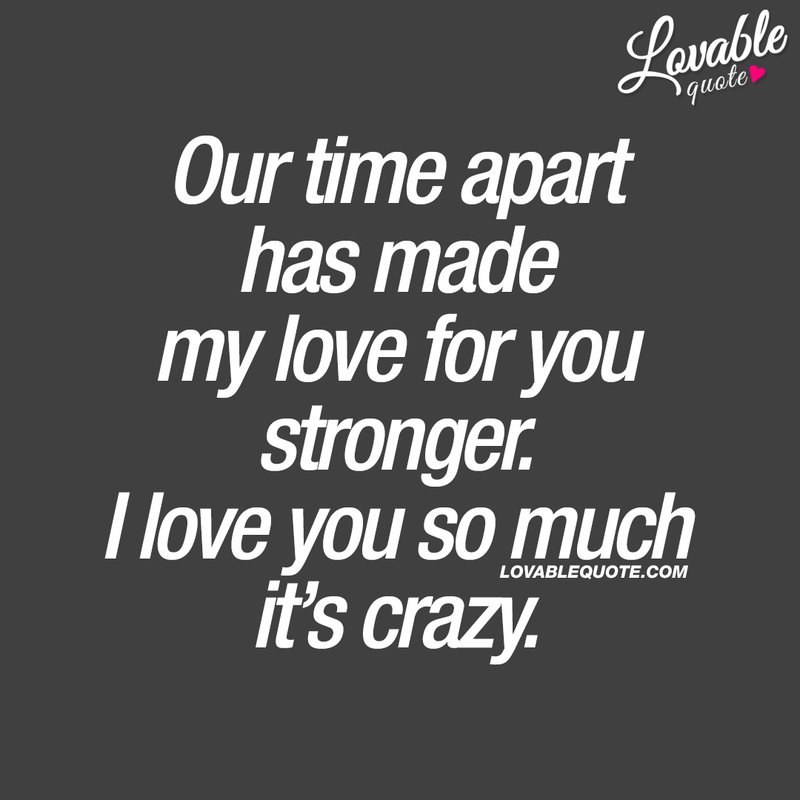 If you’ve broken up with someone, or if you’ve taken a break, divorced someone or if you’ve simply been apart and that time has made your love stronger for him or her, then let that person know by sending or sharing this quote! If you like Lovable Quote, then we would be thrilled to see you join us on social media where we post our love quotes, relationship quotes, couple quotes and so much more! You’ll love it! And make sure you sign up to our FREE newsletter before you leave! This “You light up my world” quote (text and image) is copyright © Lovable Quote 2018.